Here’s something I whipped up for my lovely husband for Christmas, a Kindle cover. I looked around on Raverly for an easy patter for a while, and there’s one I was able to find. 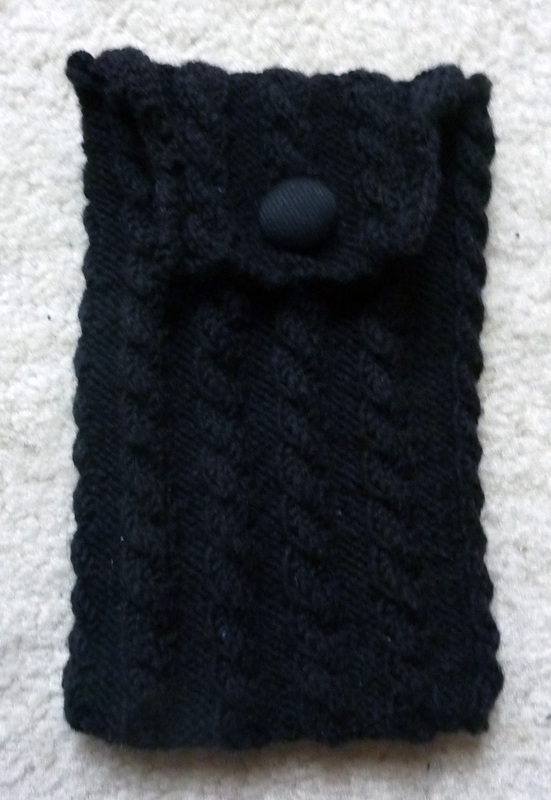 But then in the end I decided to just make it up…and I used a newly-learned skill and added cables to this Kindle sleeve. And I’m rather pleased with it. My husband was really proudly using a jiffy bag and I just thought that wouldn’t do and this seemed a nice quick project that I finished in a couple of hours, just before Christmas. He tells me he likes it, and it also acts as a sort of wedge to hold his Kindle up when he’s using it. I also managed to find a nice covered black button that finishes the whole thing off nicely. 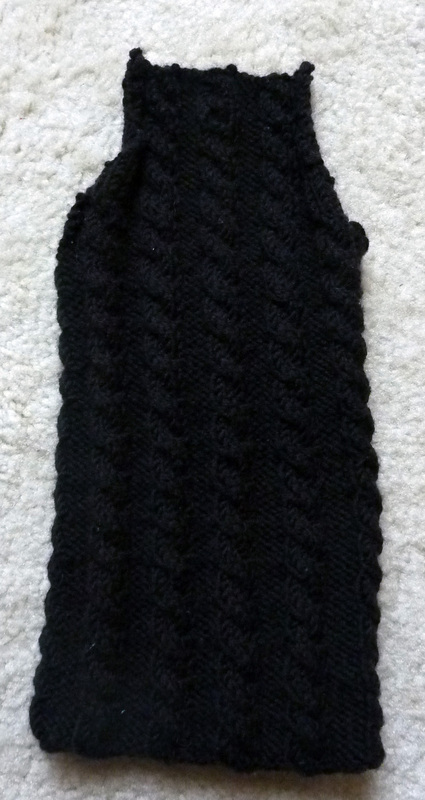 This entry was posted on January 28, 2012 at 10:14 pm and is filed under Knitting with tags Kindle, Kindle Cover, Kindle Sleeve. You can follow any responses to this entry through the RSS 2.0 feed. You can leave a response, or trackback from your own site. very nice! love all those tidy cables. I love that. 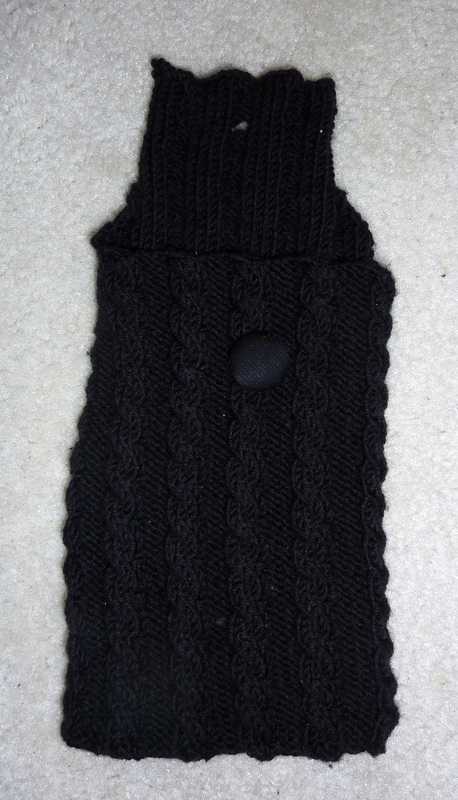 😀 I have offered to knit cozies for various bits of technology belonging to Mr B, but he won’t have it. I half-wish I had a Kindle now, so that I could cover it how I want! That’s great …. 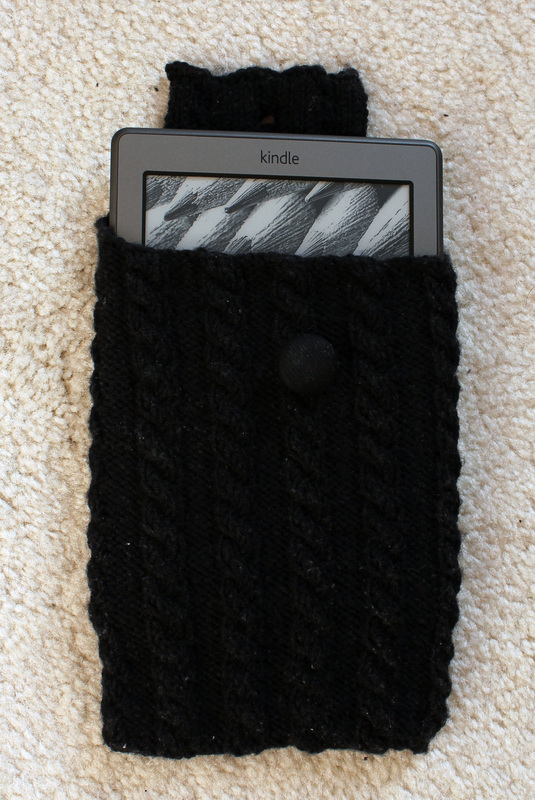 didn’t think of a knitted cover for the e-reader. That looks perfect and I love the pattern. Once again you have made another great creation. Good Job. How cute is that!! I love that you made up your own pattern – it turned out nicely.